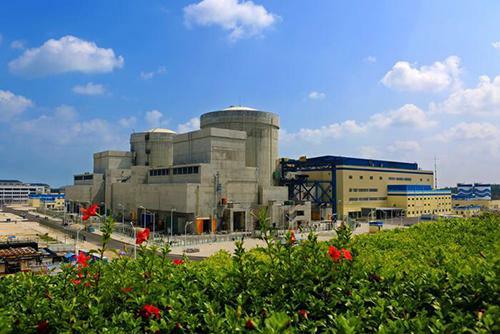 The Unit 1 of the nuclear power plant in Changjiang county, the southern island province of Hainan, finished loading nuclear fuel on Aug. 28, which indicates that it has begun the trial operation with nuclear fuel, according to China National Nuclear Corporation (CNNC) on Tuesday. The CNNC, the country's biggest nuclear power plant operator, released the above news in a statement on its website on Aug. 31. It also shows that China is accelerating its development of nuclear power. Changjiang plant, jointly invested by the China National Nuclear Corp and China Huaneng Group, can accommodate four large nuclear power units. with an investment of more than 20 billion yuan or 3.14 billion USD on the initial phase of the plant, one of the two 650-megawatt reactors started construction in April, 2010 and will be put into commercial use within this year. The other one will begin commercial operation in 2016. The project will helps ease the power shortage in Hainan province and the electricity generated by Changjiang plant will account for 30 percent of the power consumption of the province after its completion. In addition, it will reduce some 2.6 million tons of consumption of standard coal and about 7.8 million tons of carbon dioxide emissions. By the end of 2020, the installed capacity of nuclear power will reach 58 million kilowatts and 30 million kilowatts will be under construction, according to the statement of CNNC. It is expected that six to eight units will start construction and eight units will begin commercial operation this year.